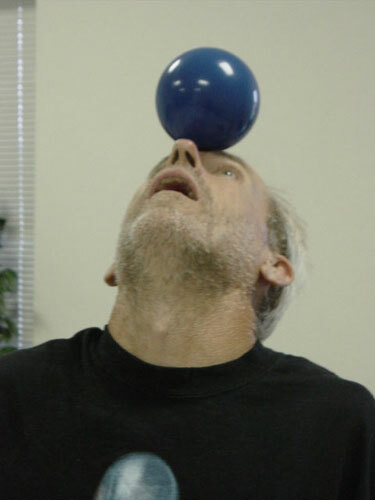 Rick balancing a ball on his forehead. 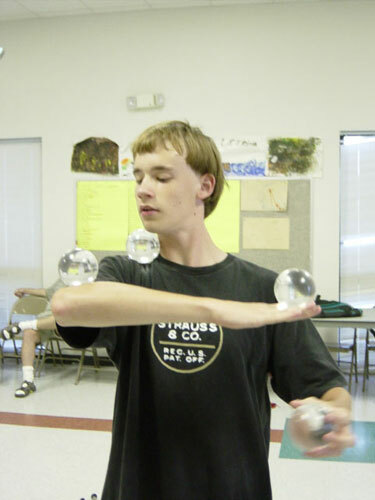 Jonathon balancing four acrylic balls. 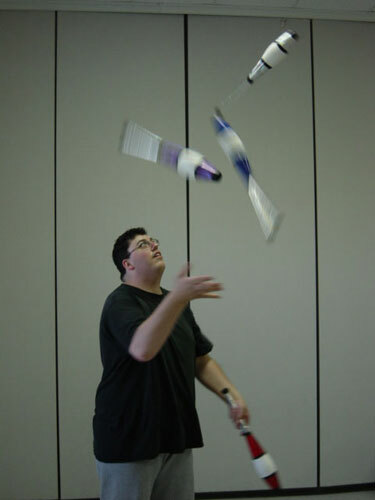 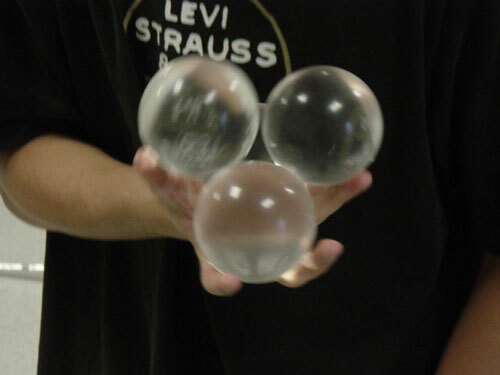 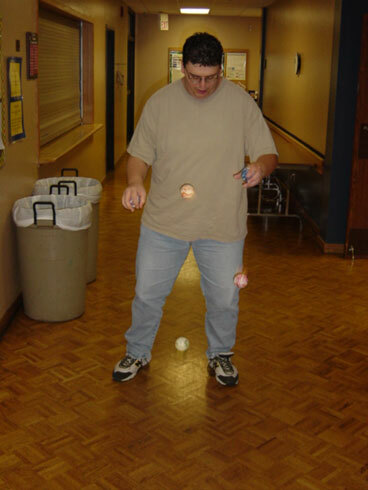 Another shot of Jonathon balancing four acrylic balls. 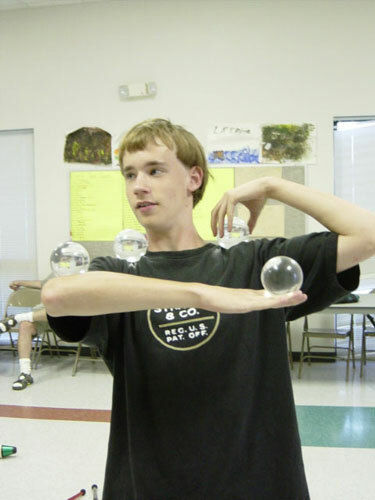 Jonathon working with three acrylic balls.